Summary: This post tells how to retire on one million dollars or less at age 35 or lower. I’ve noted from time to time that I read a ton of money blogs. One popular sub-group is the FIRE bloggers. In case you don’t know, FIRE is an acronym for “Financial Independence Retire Early”. These blogs focus on reaching financial independence and retiring at a very young age — in their 30’s and 40’s. It used to be that my retirement age of 52 was “early.” Now I’m just a slacker, at least when age is the primary consideration. Earn a very high salary. Many in the FIRE movement are in the technology, engineering, or medical fields where even starting salaries can be quite high. Several also have spouses with similar positions, so when the two salaries are combined, they are substantial. They keep debt low, usually paying off even their mortgages before hitting financial independence. Save a large percentage of income. In fact, 50% seems to be an entry level to get into this club. Most save 60% or more. Invest savings in low cost index funds and let it grow. After 10-15 years, they are in their mid-30’s and have a good chunk saved up. They’ve reached financial independence! There’s usually more to it than this, but these are the steps that seem common to most FIRE bloggers. It seems that most decide to retire once they hit $1 million in net worth. I’ve heard of retiring with lower levels of savings (like $750k), but we’ll use $1 million as a reference. Since most of them own their homes debt free before they retire, they limit retirement spending. They are used to living on a small portion of their earnings, so retirement is no different. They just keep their spending under control and are fine. Using the 4% rule (here’s the definition in case you don’t know what that is: “The four percent rule is a rule of thumb used to determine the amount of funds to withdraw from a retirement account each year. This rule seeks to provide a steady stream of funds to the retiree, while also keeping an account balance that allows funds to be withdrawn for a number of years. The 4% rate is considered a “safe” rate, with the withdrawals consisting primarily of interest and dividends.”) they can take $40,000 each year from their $1 million and live on this. $40k without a mortgage is a decent living in many areas of the country. Some move to cheaper locales within the U.S. or even internationally to make expenses even lower and help their money go farther. Bam! That’s how you do it! You’re now retired at 35! All the above assumes that you earn no additional income during retirement. But some early retirees do want to work and/or have a business that brings in extra money. It’s just that during retirement they can work on things they WANT to do versus things they HAVE to do. I can certainly relate to this. Among the FIRE bloggers, many actually earn a very healthy income by writing about retiring extremely early. There’s nothing wrong with this, of course. 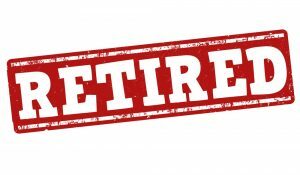 However the retirement police seem to think it’s less than appropriate for people who espouse being retired and not having to work to work and make a good living. Whatever. Let’s say you wanted to downshift your career (i.e. limit your work hours), “retire” early, and work on a few things here and there just because you enjoy them. Plus you want to earn a bit extra on the side. Let’s say you need $40k in annual income to retire. Let’s also say that you can make $20k per year blogging or doing whatever side hustle you love (BTW, many FIRE bloggers make way more than $20k per year). Then you only need to generate an extra $20k from your savings to retire. Using the 4% rule this means you only need $500k in savings/investments to retire. Of course, it’s much, much easier to save $500k than it is to save $1 million. This now allows you to retire even earlier! Say hello to retirement in your 20’s! This is the basic formula for retiring on a million dollars as well as retiring extremely early. If you make the right earning, saving, and investing decisions and start early enough in life, the math proves that it’s certainly do-able. Any thoughts on this? Could you see yourself doing something similar? FYI, if you’d like more information on retiring early, check out my FREE ebook on the Three Steps to Financial Independence. This is a great summary of what a lot of people in the FIRE community are doing. I also think there’s something psychological about having a million dollars in the bank. And for lots of people, earning that little bit extra helps their next egg grow even larger and they don’t have to rely so much on their investments. This is a great observation. In fact, I concur with you that having $1M in the bank is more psychological than anything else. I have been saving 50.00% of what I make on a consistent basis and has helped me tremendously in my path to building wealth. I’m thinking the biggest wildcard here is health insurance right now. Would other’s agree? 1. It is a wild card. That’s why you need a margin of safety that many don’t plan for. I have a post on this topic coming up in a month or so. 2. I have a post on what we’ve done for health care coming up at the beginning of June. It’s worked out well for us. Stay tuned. Lisa – I couldn’t agree more. I’ve been following this ESI blog for a month or so, and although my spouse and I own our home/cars/etc. free and clear and have close to $2M – we are only in our late 40’s and I just don’t know how health care would be covered without employment which includes it as a benefit. Any early retirement fantasies I tend to entertain are always daunted by my fear of how health care (insurance/deductibles, etc.) would be covered. I have a fear of getting out of the workforce and then having a health event which wipes out everything, and then having been out of the workforce, not being able to be re-employed at anything near my current salary. Very much looking forward to the ESI topic coming up on this issue! My fears and thoughts exactly. Given that employers often pay a very large percentage of the monthly premium, it seems like this is the make or break factor on whether it is doable or not, or rather how much extra you need to cover beyond your current living expenses to handle the higher premiums and out of pocket costs you might incur. Looking forward to hearing how others handle this. Not if you budget $750/month per person for health insurance. Then you know you are getting kicked in the crotch when you finally have to pay whoo hoo! We’ve been paying $650 – $730/month/person for health insurance since our severance packages ran out. Not pretty, but within the budget. Stay tuned…I have a series on health care coming up in June. I agree. It is one of the reasons we chose to spend our retirement traveling the world instead of staying home. Well, a minor reason. We are doing it because we wanted to travel – lower health care is a big benefit. Our health insurance covers us in every country in the world except the USA. If we add the USA the premiums double. That’s sad. Bonnie–who is the insurer providing your international health coverage? Retiring to an international destination is something we have considered. Thanks! I, too, am a slacker with all the hype around early retirement. We’ll hit our target in our mid-40s. Yahoo certainly won’t be chasing us for any headlines. Ha. Another key ingredient I’ve noticed with a lot of people/couples retiring early is that they don’t have children. Even with high salaries, paying for daycare and all the wxpensss that go along with little ones certainly takes a huge chunk of income. FIRO = FU money. The piece of mind knowing that you could walk and tell the boss to shove it. I think being able to retire in your 40s is definitely news worthy. I was looking for someone to address the “Children” variable! Hate to point out the obvious but single in your 30’s without kids is a whole different world than in your 40’s with 3 children and a stay at home spouse. My wife and I believe her raising our boys vs some stranger at a day care is priceless! Yes. $1 million puts you in the “middle ground” of net worth where LTC insurance is recommended (general rule of thumb is you don’t need it if you have too little net worth (govt will care for you) or too high (you can care for yourself)). Again, a great question that leads to the need for a margin of safety. That said, many retiring these days with $1 million are young and won’t need LTC insurance for a couple decades at least. Right, but my understanding (may be wrong) is that they look at your current and last 5 years of resources to pay for a nursing home. So they can take your home and stuff (even if it’s in both names of you and your wife) if you can’t pay (and after they take the house and stuff then govt will pay), and then if you don’t plan correct if one spouse needs to be placed in a nursery home than the other one may be without a home as I have read some places that they can take it (but I do still need to do research). This is one of the things that concerns me about retiring early, I need to research this more, but I hope to be able to retire in 5 years at age 50…. I would have to dig deeper as well. My resources are at the point where I believe I am self-insured, but I need to do some math to be sure. From some things I have read, I dont believe LTC Insurance offers the same value that you get with auto, home, umbrella policies etc. And the premiums can really jump from year to year. You may never need it or use it long enough to get enough out of it for what you’ve paid in. Better hope you have business savvy relatives that can make sure they are paying everything you qualify for also if you end up being really old or incapacitated and make the claim on the policy. Im sure they are many gray areas of interpretation, codes etc. Im still in my 40’s and my outlook is that Ill keep the money in my pocket and take my chances. You cant insure against everything. When the time comes it will be what it is. Im not going to pay some insurance company all those inflated premiums for 25+ years. 99% of people don’t need LTHI until they get into their 60’s. If you have saved enough money you can afford $6,000 a month for care, then you are self insured. Even $5,000 a year for a premium seems better than $80K a year in cost. Dividends are paid every quarter. You can just take dividends in cash instead of having them reinvested. Spot on, ESI. Retiring early with $1 million is quite do-able. We eclipsed that milestone last year, but are hoping to retire with a little more just to be conservative. But what we’re hoping to do eventually is downshift our busy, work-dominated lifestyle to a more comfortable work/life balance. This will allow us to prioritize our growing family, still bring in some income, and continue to watch our investments grow. Got to love the FIRE movement! I feel like this post is a bit misleading because, as I read it, you’re talking about people who have a net worth of more than $1 million. This article contemplates that people have $1 million in investments (generating $40k a year to live off of) + a home that they own outright. Or am I missing something? There are a limitless number of options — too many to write about in one post — so I tried to combine many situations into one example. Some have a home, paid off, and $1 million (or more) in investments to boot. Some have $1 million plus a home paid off, but live on much less than $40k per year. Some live in an RV and travel the US with lower than $1 million, but they earn a decent side income. So many combinations that there’s almost a solution for everyone — if you really want it. So you could have a home worth $200k and $800k in net worth to support you. Many FIRE people live on less than $30k a year (the famous ones especially), so no problem. If I recall correctly, the 4% rule was tested out to 30 years. Problematic for 45-55 years? Personally, I would not bank on it for many of the reasons noted in the comments below. Figuring your withdrawal rate at 4% and then counting on that as gospel, especially with no margin of safety, is crazy to me. That’s why I’d prefer the “still working at least part-time” option if it was me. Early Retirement Now has a long, involved series of posts, but in short, the SWR of 4% assumes you’re spending all your money, so you have little margin for error. He suggests 3% is more appropriate for the FIRE crowd especially if you want to leave some of your nest egg (or a margin for error). This also depends on your portfolio mix. His extensive calculations seem to suggest maximizing equities. I too eschew bonds these days, but my heavy real estate load doesn’t fit nicely into most of these studies. For my part, I’m banking primarily on real estate cash flow with some dividends as well. I consider myself FI but plan to RE in about 1.5 years. Most people can’t beat me, I have been given real estate portfolio after my parents divorced when I turned 18, I’ll be 27 now and never officially worked a day in my life, I am financially independent and I am able to increase standards of my lifestyle every year thanks to growing income stream well above the rate of consumer price index. Real estate portfolio was worth around $200k at that time, I’ve acquired more real estate in the last years and current value of my real estate portfolio is well above $400k. I have around $30k in stocks and that’s about it. I live off rental income and dividends, easy as that. I own my primary residence and have no debts. The catch is I don’t live in an expensive country (I need one third of the amount I would need if I was to live in average US state) and I don’t have any children (my plan is not to have any children before I am at least 35). It’s foolish to live in the USA if you want to retire early, most of FI bloggers miss on that point. My effective tax rate is slightly below 11% and my long term savings ratio around 65%, I don’t travel much, I just accumulate assets and reinvest free cash into stocks and real estate whenever possible. That’s also how you retire on one million dollars or less at age 35 or lower. Yes, real estate can be a big winner here because you get back much more than 4%. I earn about 10% on mine (in income alone, not counting appreciation). At that rate you obviously need a lot less money saved/invested to retire early. Living in a low-cost area/country is HUGE as well. Makes the numbers work so much easier. And if I can be so bold – where is this low cost place to live ? I am 36 and in the medical field and easily 10 years from retirement. Part of the problem with medicine (as opposed to tech/engineering) is that I did not make a “big” and I mean “big” paycheck until I was 32. Then there is school loans to pay off ($200K), etc. So I suspect for most MD’s (except for our friend PoF) retiring at 45 would be considered early. Nice post and I hope one day I make 20K blogging a year. Yes, doctors often do start in the hole due to large school loans. I think the prevailing advice is to keep living like a student for several years out and pay that debt off quickly. I’ll keep everyone posted on the blogging revenue. If I get to $20k I will most certainly write a post on it. re: Long-Term Care – this is a personal decision, but what has proved clear to us is that those who can accumulate $1 million can self-insure. Work a few more years, and get to $1.5 million if it is that much of a concern. This is also a very good reason to consider an Advanced Healthcare Directive and make known one’s end-of-life wishes. Nobody wishes to be a burden, financial or otherwise. re: 4% rule – that calculation was made in the middle ’90s. T. Rowe Price has replicated the 30-year periods in the past few years, and the calculation works out to 2.8%. Toss in Social Security, liquidating the paid-off home, and a little mindfulness in spending, and every point you make in your post remains valid. There is a proliferation of early retirement blogs recently due to the long bull market we’ve had. Would be interesting to see how many of these early “retirees” end up working again due to some shortfall when equities sell off. Compound that with the fact that many of these young retirees tend to be close to 100% equities. My feeling is that on avg, most people don’t correctly assess risk, which leads then to paint a rosier picture. Better to retire at end of bear mkt, rather than a long bull. Performance in first 10 yrs post retirement are critical. Beautiful thing about retireing early is that you can adjust your lifestyle based on the market trends. I personally would go back to work or slow my withdrawal rate in a bear market if I was to concerned. #retirednotdead #retirednot dumb. Gotta find money to throw at stocks when they come down in price. This couple was tested in your firsts years FIREd. Interesting post, I read about how folks retire early in their 30’s and wonder how did they do that?! We are very conservative…live in the midwest, started with nothing, paid off our mortgage 3 years ago, last child has graduated college, no debt, low everyday expenses < $50K not including health care which is a big ? and an ~NW of ~ $3M and I feel very apprehensive of leaving my mega-corp career at this time at the age of 53 even with my original retirement goal of 55 just year and a half away. After reading your posts and the comments from your readers, I guess I'm at the point of … How do you get over that fear of "uncertainty" to just say "good-bye" from the steady paycheck and accumulation mode after 30+ years to the world of spending what you saved? After all these years of earning, saving and investing I think that will be my biggest psychological challenge to refrain from the "one more year syndrome"! I'm curious as to how did others manage this "fear of uncertainty"? Passive income makes this fear disappear. If all your money is in stocks or similar types of investments that are at the whims of up and down market based pricing movements then that fear is going to be there, so you need to do something to remove yourself from being fully exposed to that risk. If you have a passive income portfolio (usually real estate but others could work as well, such as a strong dividend based stock portfolio) that throws off an income that comes close to matching your expenses, then when you quit your job you still have a steady paycheck, it just doesn’t require the job anymore. However, I will say that if you have a NW of $3 Million, you are at a point where you can likely structure your life for retirement without much concern. If you have that without passive income then I would recommend having your house and cars fully paid for, so monthly expenses are low. Then I would structure your investments to throw off a decent amount of divends and also a few years of living expenses in low risk investments like CDs or short term bonds. The returns will be pretty low but it will allow you to weather market down turns without selling off assets that have lost considerable value. When the market is flat or rising you keep funding your living from dividends and selling off a few of your stocks. When the market is down you tap the low risk investments like the maturing CDs and short term bonds and replace them once the market recovers. A NW of $3 million is more than 99% of people will ever have so if you can’t make that work, then no one can retire. I agree, but it’s funny how many emails I get with the general message being “I have $3 million and don’t know if I can retire.” I’ll actually be writing a post on it in the future. The main issue: spending is too high. If you have $250k per year in spending, you’re going to need significant assets to generate that. 1) Shifted from full-time to part-time work at age 50. Same field, same type position, fortunate enough to be able to find such a gig. It helps the slide out from full-time work and allows plenty of time to develop “who you will be” in retirement. 2) Pretty much any way I cut it, I’ll be at the point of having more than 150% of my annual spending in available cash flow. In other words, a big cushion. A lot of this is your own mindset and this insane need hammered into people to “never touch your principal”. Assuming you do retire at 55 and have out of your $3M net worth $2M in equity to draw from, consider that if you took that $2M and spent your $50K expenses in a year and earned nothing but what some CDs pay which just keeps up with inflation, that will last you 40 years, until you are age 95. Let’s repeat, age 95! For both of you! That doesn’t include Social Security, that doesn’t include additional earnings from side jobs, that doesn’t include worrying about the market, that doesn’t include a reduction in spending, etc. So here is wild scenario, you could consider just $1M dropped in a CD ladder over time that like above just keeps up with inflation, then let the other $1M earn just 2% above inflation for 20 years and it will have grown to about $1.5M, then CD ladder that at age 75 and that extra $500K would give you ten additional years to age 105. What are your odds to live to 105? Practically? Now consider if you and your spouse only got $1500 total for SS at 70 (versus the much more likely $3K a month or more even with only 70% of benefits being paid out for top earners), that would then equate to $18K a year, so you’d only need $32K a year, for the conservative $2M scenario that would be 15 years to 70, leaving you $1.25M with $32K taken out a year for 39 more years for a total of 54 years or age 109 before you run out of money. For the scenario where you invest the second million and it earns you $1.5M in 20 years before you even try touching it, your in your 120’s before you run out of money. Oh my gosh, what if one of you have poor health at age 80 and ends up in a nursing home for three or even worse five years before you die, and that costs you a total of $80K a year for five years or $400K and you never had long term care insurance. At age 80 you “only” have $750K left in the most conservative scenario, minus the $400K and your living expenses at $250K over the five years with zero reduction for one person being in a home leaves you with just $100K at age 85, you are almost broke! What on earth will you do? Well, you still have +$1M in net worth in the home you likely no longer need and other items you can sell and now you don’t have to pay for two. Say you get another $500K in today’s dollars and that for one you only need $30K equivalent a year in expenses, that’s now 16 more years plus, or into your 100’s. So seriously, even in ridiculously conservative estimates where you earn no additional income, no additional equity growth beyond inflation, no side gigs for fun, no decrease in current expenses, no SS, etc. you still both make it 95 before you “have” to sell your other part of your remaining million in net worth and downsize for income, or even if one of you goes to a home you might have to do it a bit earlier. How much more likely your money still earns a bit above inflation and that just puts you above and beyond for one of you to be well into your 100’s before you run out of money, and that’s with zero reduction in life style and not considering any real SS benefit. You’re like my friend’s parents, where my friend’s father was complaining to his financial planner about having to take the car in for new brakes and some other issues and the financial planner looked him in the eye and said, “Buy a new f***ing car! You know what, not only leave here and go buy a new car, but in two years trade it in and buy another new one and do that every two years so you never have to change the brakes again and you always get free service under the new car warranty.” He did, still does in his mid eighties. He likes Toyotas. Honestly I would not trust the 4% rule over terms longer then 30 years. The rule states you will have money left after 30 years, not that you will have all your principal left after 30 years. The problem is at that point you have another 30 years where you again need to meet the 4% rule. That being said most of the million and under million crowd seem to supplement their passive income with other sources of income. That’s really the key if you want to retire with so low a number. Find a side hustle for 10 hours a week and it becomes doable. One last thing to consider on that hustle. Make sure its sustainable. Don’t pick something that you expect will be highly violatile as a supplemental income if you depend on it. With flexibility extreme early retirement is doable. But… I do worry as others noted if the glut of examples is market driven. I would rather go for 3% or even 2.5% to give myself some margin, but that’s just me — I like to be conservative just in case. The problem with rules of thumb is that people forget they are guidelines and start acting like they are holy edict never requiring adjustment to your current circumstances or outside impacts. They are general rules that you have to adapt to your current situation and you have to understand how they do and don’t apply. While you point out the 4% rule as envisioned was for 30 years and that is valid, you neglect to consider that it can be used indefinitely with tweaking of the other variables that went into the analysis, like using a bucket strategy to avoid withdrawing from equities during bad market years for example. Additionally people, if they have many good years and are frugal, should let go a bit and consider adjusting as they age. I plan on spending more as I get older hopefully not because I need more health care but because my current estimates are conservative and there is a fair chance I will have more than I think I need. Assuming I earn more than planned I don’t see the point of having several million in worth but not spending a few thousand on something I want when I’m 80 just because I might “tap” the equity or “break” the rule and spend 5% that year. In the current healthcare environment (and I mean for the last several years, not the last 100 days), the unknown of healthcare costs should give one pause before early retirement (at any age) on $1M, assuming an anticipated income stream of $40k/year. It is not unthinkable that healthcare could eat half of that (or more, if you get sick or injured). Also, there is the assumption that there are no children in the picture (or they are already self-sufficient, and the parents are in good shape or no longer around. The generation above or below can have needs that make one reconsider whether the $1M will be enough. I guess that one can always go back to work, but in many fields, once you are out a couple years, it can be difficult to get back in, especially at your previous pay level. It is probably better to stay in longer than you think is necessary, unless you are really miserable in your job. I don’t disagree. I’m not saying I would take the specific paths noted above, just that some people are doing it. I am 51 and still slavin’. ? On the one hand, the retirement police can be a little heavy handed in their criticism. They’re an angry group sometimes. 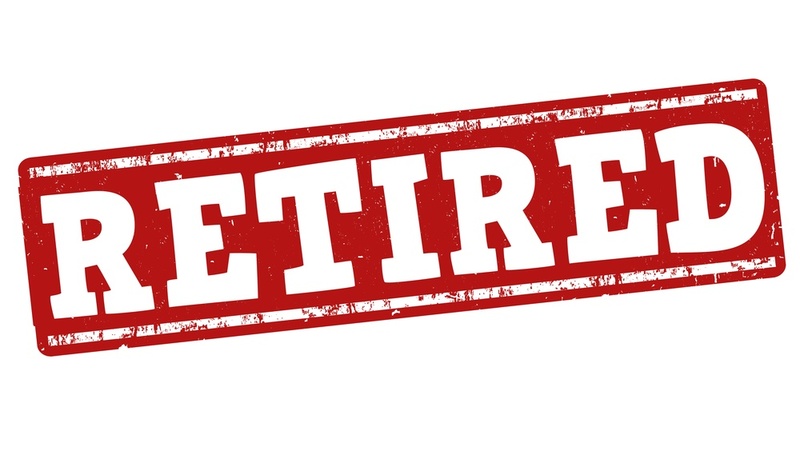 But on the other hand, “retire” no longer means the same thing to the masses as it does to the FIRE crowd. Seeing people working furiously (which some “retirees” do) can be very confusing for those with a more traditional definition of the word. Financially independent and/or financially free and/or “semi-retired” (a la Don Corleone) is certainly more accurate, but as long as there are headlines to be had and the limbo contest for youngest retiree ever continues, we’ll see the debate rage on. My money is on a 10 year old hunter/gatherer somewhere – he’s learned how to hunt and fend for himself, so his housing / food / etc. are covered forever. Now we just need to get him a laptop and internet connection. For me the biggest wildcard currently isn’t health insurance it’s kids! We’re in our early 40’s and our family has recently passed the million mark but with three kids, my youngest many, many years away from university, it will be some time before we can take it easy. I know a few Dual Income No Kids families that easily made FIRE levels of savings by 35 but us breeders have made different choices. Not complaining but so many of these stories neglect children in the equation, they can be expensive. We are making some changes though, we’ll be moving to the US soon and enjoying a much lower cost of living, better education opportunities, and amazingly huge grocery stores! 🙂 I’ve also been playing with the idea of taking a lower paying job that is much more enjoyable and flexible to spend more time with the family. So maybe you can call that some kind of retirement but I’d still be working to live. A lot gets into the debate about “what is retirement?”. Is it being financially independent, though you may do something that pays money? If so, is a surgeon who has a multi-million dollar portfolio at age 55 retired if he continues to work until 75 because he loves what he does? No one would think that. Even if she cut her hours, most would consider that part-time work, not retired. There is a difference between financial independence and retirement, and some seem to conflate the two to the point where ‘retirement’ means whatever one wants it to mean. That’s one thing I look for in bloggers, to avoid the “Yes! We retired at age 35, and you can too as long as you continue to work half-time in order to provide 50% of your cash flow needs!”. To me, if you’re working for wage income or business income (e.g., blogging, consulting, etc. ), you’re not retired; you may be financially independent, but you’re still working part-time. And you’re not financially independent if you rely on that stream of income to support a significant amount of your cash flow needs. Seriously, folks get too hung up on the term ‘retirement’; I’m more interested in financial independence. We are on the same page regarding FI and retirement. Oh, the Retirement Police care for sure! Ha! I always find it interesting to read blogs about people who retired early yet they have jobs whether it be blogging about retiring early or writing about their money making hobbies. The people who retire at age 40 or younger are truly inspirational. For me, it will be age 52. If you own a home, living off of $40K per year is doable outside of places like NYC or the Bay Area. Plus, with some side work, it sounds like a nice life. I hope they are all enjoying those extra years of freedom. You are spot on with all the key ingredients of early retirement – high paying professional jobs, saving a ton of it every month, frugal lifestyle, etc. When mixed together, its a winning combination! I totally hear you about being in the slacker club. With my own FIRE age not until 46 (9 years from now), that’s not really going to generate too many headlines or sell many books. But what do I care – I’ll be FI! I am not sure if you have ever posted a list of all the sites that you follow, but I a curious as to which sites you follow. I’ve always wondered if anyone actually just tries the 4% rule out. Blindly follow taking 4% each year and making that what they live on. It seems like once someone has the where withall to accumulate a million bucks and a paid off house, earning another $10k a year would be a hobby. That drops you down to 3% and a long way away from the odds of spending all the principle. Even earning an extra $5K a year would seem incredibly easy and increase your odds of making the million last. Plus, a productive 35-year old that is driven enough to save a cool million would probably go insane if she wasn’t bringing in a little extra money every year. It has just never been something that seems realistic to expect a productive person like that to just shut off the spigot. 1. My guess is that it’s written by someone who is not retired and is likely far from it. Call it a hunch. Or just see my “not experts” category. 3. The piece assumes that “being frugal” = “unhappiness”. I think most people who are frugal enjoy being that way. So just because they don’t want to go wild (or at least wild to them) with spending doesn’t mean they will be unhappy. 4. I think the whole article was an attempt to come up with a new angle on money and it’s just not working for me (as you can probably tell). While seeing your points, I do agree with the article in many ways. Part of the reason I posted it was an earlier comment about the shifting mindset from working (saving) to retiring (spending). Everyone I know admits to a struggle in shifting from earning/saving to spending. As such, they tend to be more conservative than even they would like, at least at the start and until they make the mind-shift. I don’t think there is an assumption that “being frugal” = “unhappiness”; I think the assumption is that people *may* be happier if they let go a little bit. The “don’t touch principal” fear is real, and has consequences. People *do* assume relatively constant consumption even though it is likely that as they age, their consumption will go down — so their plans to do things never materialize…because they didn’t do it earlier because they were locked in to a spending program. The point made about leaving a legacy is a good one. I know folks who plan to leave substantial legacies to their children…just as the children themselves are approaching retirement. I know folks who are living with a high degree of fear, and it impacts their spending decisions. By and large, I’m a big proponent of “people’s actions reflect their priorities/happiness”, but do admit that in this area, I sometimes question that idea. These spending decisions don’t have to be huge, they can be relatively small. For example, going out for dinner with friends a little more than one may normally feel comfortable with; same with going out to enjoy the arts; maybe “letting go” and buying the bicycle for $5500 instead of $4500. Small upgrades on vacations. And so on. I see your point, but even in your example you equate spending more with being happier (i.e. letting go just a bit will make people enjoy themselves more) and that’s a leap I just don’t buy. And it’s one the author hangs his hat on. It’s true that some people do have issues with this (misers, for example) but far more many people have the opposite problem — worries, stress, and unhappiness because they’ve saved too little and can’t afford the retirement they want. So to me the article was just in search of a new angle and didn’t really find it IMO. I’d consider it a puff piece, mostly. Not equating that spending more will make you happier, but that spending more, especially with regards to experiences v. things, *may* make you happier. I had read something recently that the whole retirement arena is tremendously segmented. Like you mention, many people have the opposite problem. But the article showed that prodigious savers went on to have ever higher portfolios over long periods of time. Again, not for me to judge. Different strokes and all that. I agree, spending prudently in itself can bring happiness; spending prudently certainly allows happiness. Happiness isn’t in the mere spending of money. But I also posit that there are many situations where spending a bit more money can enhance one’s happiness. I’ve seen it: folks complaining about not being able to do x, y, and z due to a) not wanting to spend the money or b) claiming not to have time — yet when I suggest they pay someone the nominal amount it would take to outsource a task, they don’t want to…because…money. Well, if spending more “may make you happier” it also “may not make you happier.” It also could make you less happy. It’s hard to tell. Which is just my point. The author brings up and issue that’s either not there or unknowable, which doesn’t do anyone any good. Then you say “But I also posit that there are many situations where spending a bit more money can enhance one’s happiness.” Again, maybe, maybe not. Who is to judge (or even measure) happiness? I get what you’re saying, I just don’t buy that it’s much of an issue. But who really knows? Sure. We’re kind of quibbling now. I don’t think you’d disagree that sometimes people don’t go overboard and miss opportunities due to financial conservatism. Just like I don’t disagree that spending guarantees happiness. No, I don’t think anyone celebrates leaving a boatload of money behind — unless they do it intentionally. For instance, we could add $120k per year to our spending to draw down our assets. Would spending that amount make me happier? Probably not. I’m pretty happy now. That said, if I want to go somewhere, buy something, etc., I do it. No problem. But I’d much rather spend what I feel I want to spend and not have someone tell me I’d be happier if I spent more. (Not that you’re doing this — I think the author of the article is though). Let’s take an extreme case: Warren Buffett. He’s certainly not spending everything he could. Would spending a billion here or there make him happier? Probably not. 1. Give the kids enough to help them out but not set them up for life. Maybe $500k or so. We’ll see how they grow and use money and this number could change depending on how they manage what they already have. 2. Like Buffett, give the rest to charity. This would make me WAY happier than trying to spend it all on myself. I know, YMMV. But at least that’s what works for us. I get it, but what I’m talking about are those spending $40k instead of $44k while claiming to not be doing things they’d enjoy because they don’t want to spend the other $4k, even though their resources clearly allow for it. Clearly I’m not talking about you, nor me, nor Buffett. I think it is harder to make $20k per year blogging than it is to save $500,000. Or at least it looks that way to me. And I would argue that there are (probably) more people that have saved the $500,000 (even if they haven’t retired yet) than people generating $20k in blog income. Oh well maybe I am just whining… or I am just not willing to work hard enough to generate anywhere close to that amount. Thanks for sharing, great post. Just need to be smart about where you invest your money and how you will draw from it when you retire. If it is all in a 401k, you will be penalized for taking it out early. So having some in a taxable account to draw from will hold you over until the 401k is available. Or you could collect on dividends to pay for retirement so you don’t even have to touch principal if not necessary. As far as healthcare goes, might be an idea to build up an HSA in your early or working years if feasible. That way at least you have some money set aside for healthcare costs and take advantage of the tax benefits. But you hit the key points to achieve FI. $40,000 from a traditional retirement account is not $40K in your pocket. If you’re under 59 1/2 you’ll pay a 10% penalty unless you take 72(t) distributions in substantially equal periodic payments. Hope you like those payments too because changing the distribution method afterwards can result in tax penalties. Also, that money has never been taxed, so your $40K is going to be more like $35,000 net (not counting state taxes). Hey, I gotta run, time to go to work. $40k is the gross. From there you have to pay all expenses — food, clothing, shelter, and yes, taxes. There are plenty of people that don’t have all their money in retirement accounts. You can take money out of a Roth and have other money in a Brokerage account to live off $40K a year. That is too little for us since we will be doing extensive traveling. Geo-arbitrage is what it’s all about baby! I’m in the process of selling one of my rental homes in SF and 1031 Exchanging it in Hawaii, where the cost is about 30% – 50% cheaper for a like-for-like property. Unfortunately, $3 million is the new $1 million due to inflation. So I donno if I woulda retired early in 2012 with just $1 million. Would be too afraid of starvation living in SF! Far too many people worry about net worth vs. cash flow. My wife and I never had a liquid net worth of much over $1M until we were pushing 50, but we’ve been functionally “retired” since leaving the military 13 years ago at the ripe old age of 38/39. I will grant you that we do have access to very inexpensive and quite good health care coverage (TRICARE) due to having full retirement benefits from the military, but I will also mention that neither of us have spent even $1 of our military retirements on living expenses. We’ve invested every single cent. We both enlisted at 18 as a way to pay for college. We saved about 90% of our take home pay for the first four years, got promoted a few times, and opted to do college part-time for 6-6.5 years while staying on active duty. We both finished college at age 25 and made the conscious decision to both stay in for 20 years. We saved voraciously and were definitely the beneficiaries of “free, public housing” and “free, public meals” by Uncle Sam. We used our money to buy duplexes, small apartment buildings, and eventually started buying smaller commercial lots for ground leases. We left the military at 38 for me and 39 for her, and neither of us have ever held a traditional, 9-5, W2 kind of job. I do some “consulting” from time to time, and she’s a very infrequently employed nurse practitioner who basically does travel nurse work for emergency staffing situations. She uses her modest earnings on her greenhouse/garden projects. I use my even more modest earnings to keep my pilot’s license current. We live off of the rents collected, more and more of which is from the ground leases, which have ended up being the best investment with the least amount of drama. I was against the idea for a long time, but my wife convinced me and to her I owe many thanks for her foresight. We originally planned to use our military pension payments to purchase more properties, but have instead diversified into low cost index funds and a few selective bond offerings as a hedge. Our “liquid” net worth is probably only about $1.5M, but we have substantial equity in our real estate holdings and between the real estate and pensions, we generate roughly $31,000 per month in after tax earnings. Most of the real estate is owned outright, so even if the value goes to zero and/or we have mass vacancies due to an economic malaise, we still have our military pensions to rely on. Right now, we spend a little less on living expenses than our military pensions pay us. We plan on keeping it that way. We could afford a bigger house, nicer cars, etc. but that just isn’t who we are. We have lived in the same house since 1995 and have no need for anything larger now that the kids are gone. I drive a 2003 Chevrolet pickup truck and my wife has a 2005 Honda Civic. Our biggest outlay was college for our two children, but it was state school and we had done the 529 plan since they were born. Now, we spend most of our money traveling to see the kids, visiting old military friends all around the world, and traveling just for the fun of it. We’ve been to 61 countries together, mostly staying in AirBnBs these days. We have zero concerns about our net worth, not because it is some huge number and we don’t care, but because it is absolutely irrelevant to us. We just care that we have enough cash flow to not have to dip into savings…ever. If you have that, you can retire right now. It just takes discipline. I have it. My wife has even more of it. The most important financial decision you’ll ever make is who you choose to marry, if anyone. I’ve made some bad decisions in my life, but I made the very best decision of anyone I know in terms of picking the right woman. Just reading this now. Damn fine post…love the last paragraph as I totally agree. I only need $50,000 a year to retire. That is my goal. My wife on the other hand wants more of an income haha. Guess we will just keep grinding until we hit that. We enjoy what we do, but we also enjoy time with each other and our future family. Life is short, we don’t want to work forever that is for sure.